Stock and Organize Your Fridge Like an R.D. Memorial Day is right around the corner, and while your weekend may be filled with barbecues and beach festivities, there is also no better time to jumpstart healthful habits as you head into summer. These three simple suggestions will keep you feeling and looking your best without interfering with your Memorial Day plans. Commit to eating one probiotic rich food every day. By the end of the day, most of us deal with a little bloating, gas, and distension due to gut imbalance, but a little probiotic can actually restore this balance, and efficiently flatten your paunch from the inside out. So throw some sauerkraut on that turkey burger, swap out your lemonade for Kombucha, or try some other probiotic rich foods, like Kefir or kimchee. Spend 10 minutes a day managing your stress. You may or may not feel particularly overwhelmed right now, but no matter where you are on the spectrum, daily stress management with active relaxation is an incredible tool in improving your immune system, aiding in mental health and weight loss. Stress is always a factor in our lives: running late, managing relationships, and dealing with the unexpected. But this stress fuels most of us with a steady stream of the hormone cortisol, which is linked to disease and weight gain (especially around the stomach). Actively combat this stress for just 10 minutes a day through a peaceful walk, a quick yoga salutation, or through a relaxation app, like Headspace or Breathe. 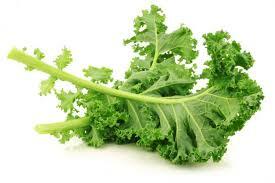 Challenge yourself to eat 2 cups of dark green leafy vegetables every day. If you can commit to loading up on 2 cups of spinach, kale, arugula, romaine, chard, mesclun or spring mix every day, you’ll be bumping out whatever else you’d normally be eating with tons of vitamins, fiber and antioxidants. Delicate leafy greens are the first to bloom in spring and they couldn’t be more delish than they are right now. Lightening up your day with a meal based on 2 cups of leafy greens is as easy as an obvious salad, as delicious as a loaded omelet, and as hearty as sautéed Swiss Chard with white beans that you can whip up in minutes and serve family-style on the picnic table this weekend. Let these great habits begin! Have a wonderful Memorial Day!